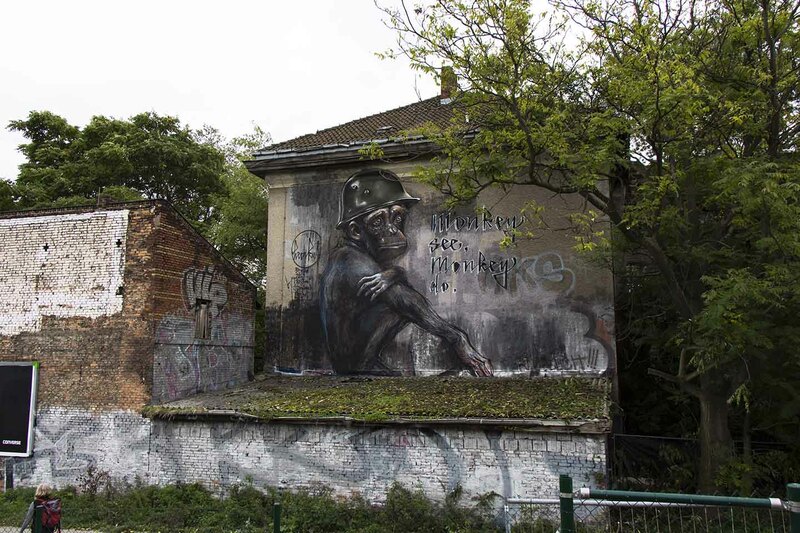 Street Art Berlin proudly presents one of the most impressive artist talents in Berlin: Vidam. From the 2nd of November until the end of March you can come to Factory Berlin to see the impressive art pieces of him on exhibit. Vidam is a Berlin-based artist and illustrator. As part of the graffiti and street art crew The Weird . Please feel free to read more about the crew on our previous posts. Vidam loves traveling around the globe and painting walls and murals. 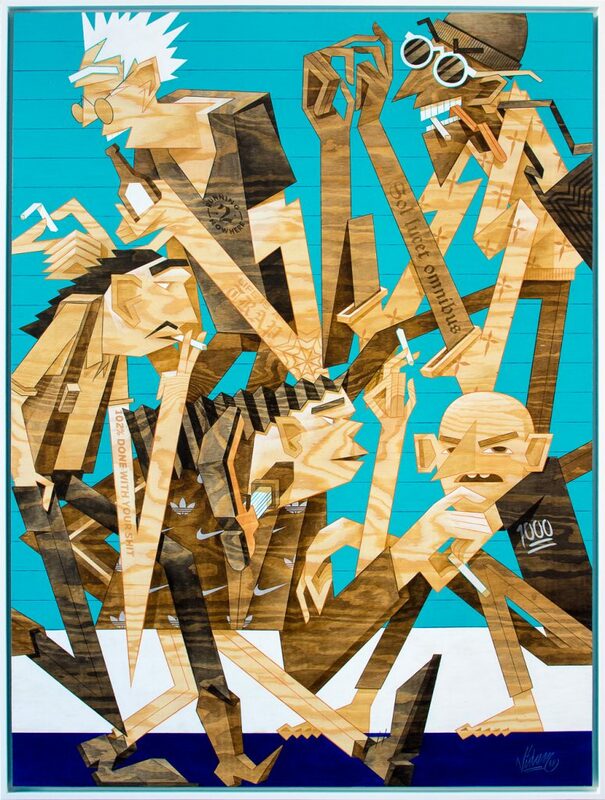 Typical for Vidam is creating funny and complex illustrations for international clients and painting canvases. 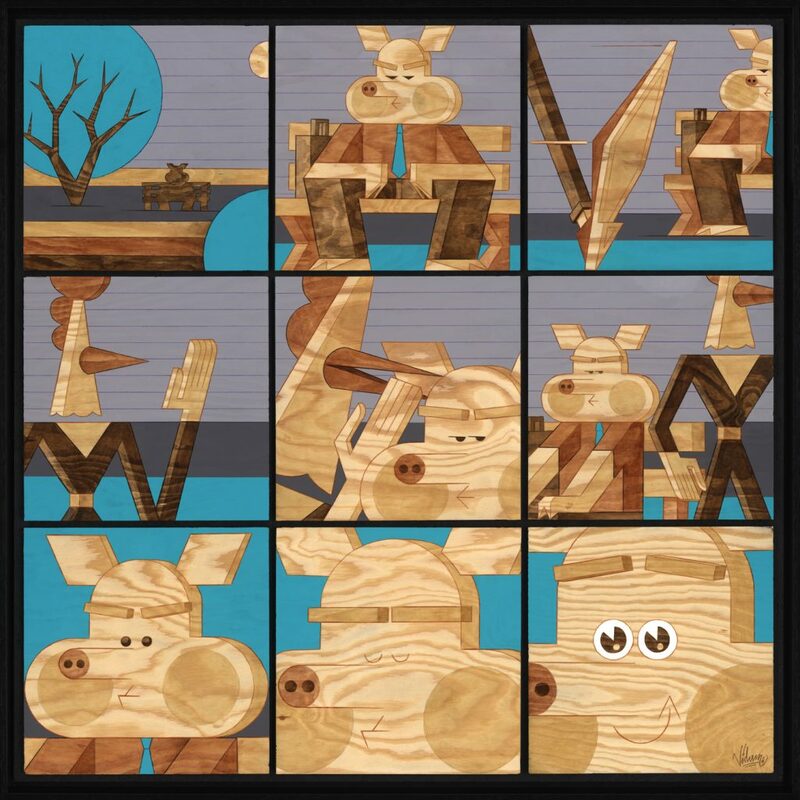 At the moment he likes to work on wooden boards and graphic shapes in his characters. What is his solo exhibition about? The mankind tends to be kind of lachrymose. The human being moans about how good the old times have been and often seems to live in the past. Everyone seems to talk about the good old times. But the past is past and we have no chance to change it or even to go back to them. So it makes no sense to grieve for it. The fact is that we live permanent in the present age with a straight look to the future. Every moment is gone to past in a moment. So the now would be the time later we moan about that it was a good time. The message is: stop moaning, start living. Now. The goal is to create a presence that never needs to think about the good old times. All art pieces are handpainted on wooden boards and got different sizes. See all artworks daily Monday until Friday from 09.00 to 18.00 at Factory Berlin, Rheinsberger Str. 76/77, 10115 Berlin. 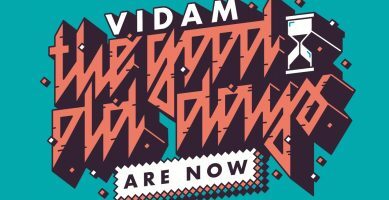 Are you interested in buying one of Vidams artworks? Of course we will send you the catalogue and are there for a personal meeting at the exhibition space. Just let us know: hello@streetartbln.com. We correspondent in English and German.